Or, in the interests of political balance, bigoted women. I believe someone said during the night that UKIP believe they won on polling day but postal votes swung it for Labour, which would suggest to me that low turnout was the most likely cause. I’m sure UKIP had a good local campaign (they simply had to to come anywhere near Labour here), but nonetheless Labour took this seriously and so I simply can’t fathom a swing as large as the discrepancy between the polls and the end result. The only thing that gives me pause for thought is that Liz McInnes decided in the very first line of her celebration speech to say that the vote was an endorsement of Ed Miliband’s policies, and it wouldn’t surprise me if the resultant laughter was genuine rather than House of Commons style pantomime. If he featured equally prominently in the campaign on the ground then I can imagine that there could have been a late swing. So the aim should be to get them to stay home rather than switch as that’s the most they’ll do (at first anyway). so it could either be standard Labour low turnout outside of GEs or it could be the Ukip campaign succeeded in getting a chunk of them to that first abstaining stage. So Labour’s latest excuse for a weak byelection performance is low turnout? You must remember that the Labour share of the vote did not decline. What UKIP did was persuade half of the Conservatives to vote for them, and also hoovered up the “none of the above” vote as usual, most of which came from the Liberals. In relation to polls I would suspect a mixture of late changes of mind, and differential turnout, often both (ie people decided late that they would vote when they don’t normally). I can’t see a “shy UKIP” factor, given how gung ho they and their supporters are. No-one’s saying that it is. There are very important lessons to be learnt for Labour. But it would be a grave mistake for the Tories to derive any satisfaction from this weak Labour performance, and Grant Shapps for a start clearly wasn’t falling into such a trap this morning. The Tories need to talk up the threat of Labour forming the government to counteract UKIP, but will need to rebut what they say, just as Labour has to do. Trust a Tory to attack Labour for winning a safe seat by 617 votes having lost a safe seat of their own by 12,404. But make no mistake on two things: I’m about as interested in Labour succeeding as Douglas Carswell, and Labour did badly because of their own failure to get their vote out. None of that changes the fact that this was a disaster for them, but if UKIP are credible challengers in Labour heartlands then there is lower hanging fruit than this seat at the general election (albeit the groundwork done in recent weeks will have moved this seat higher up the list). On the face of it, Labour’s vote didn’t actually collapse, rather rose ever so slightly. Indeed the anti-Labour vote coalesced nearly exclusively around UKIP at the expense of the Tories and Lib Dems. But on the other other hand, questions will be asked about why they didn’t enjoy a larger rise as it did in e.g. Wythenshawe and Sale East. Or why they couldn’t take those defecting Tory or Lib Dem votes. Michael Dugher’s defence of Labour’s performance during the overnight BBC coverage was waffle. In contrast John Mann didn’t hold back on his Twitter feed. And a particularly interesting issue for the GE is that there are few signs in this byelection of Labour hoovering up the ‘left-wing ex-Lib Dem’ vote – the existence of the latter has been considered an important potential support for Labour’s vote by some commentators. Of course it is possible that Labour’s apparently static vote share disguises considerable churn, with a chunk of votes lost to UKIP but another chunk coming from the Lib Dems and balancing that. But even if that is so, the aggregate result is of little comfort. Labour very nearly lost a safe seat to a party which scored a derisory share of the vote four years ago. Other Labour MPs in this part of the world will be feeling nervous. Of course there are demographic questions here – are we actually seeing the Labour vote holding and UKIP taking all the ABL votes, or are we in fact seeing a LD -> Lab switch to keep UKIP out and UKIP making inroads into usually Labour voting territory? I suspect it’s a mix of both, but the balance could be important. Tim I disagree. This result is worrying for Labour all right. But it’s surely more worrying to the Tories. Not only did they do extremely badly in an apparently strong seat, but they collapsed from a relatively challenging position in H&M too – remember, they previously had strong support in Norden & Bamford, and some in the southern quarters of both Heywood & (perhaps rather more) Middleton themselves. In the end Labour has at least held its seat, though it’s a rotten performance. I don’t think the Tories can derive any comfort whatsoever from this. It’s going to be they more than Labour who will suffer more in the north in terms of lost votes, as this result clearly shows – hence Grant Shapps’s tone this morning, when instead of his rather bumptious usual style he gravely warned voters that a vote for UKIP is a vote for Ed Miliband to get to Downing Street. Both parties have had bad nights, but the fact that Labour’s vote collapsed in Clacton & nearly lost an apparently safish seat, bad enough though it is, is still not quite as serious as it was for the Tories, who now are very much on the back foot for Rochester too. Perhaps however it’s too late for other by-elections in this parliament after that one, and politics will return more to who should govern rather than who should represent a particular constituency. I think that what happens to the ‘left-wing ex Lib Dem vote’ will be on a seat-by-seat basis. In places like Cambridge and Manchester Withington, Labour probably will hoover up this vote as many of them will be more of the Guardianista persuasion. I don’t think there’s many of those people in Heywood & Middleton. Obviously, H&M was a pretty poor result for Labour despite still managing to hold the seat and does raise questions on how to appeal to the concerns of their traditional voter base. Much to think about over the weekend I expect! I agree that this is a rotten, but not unsurprising result. The BNP + UKIP vote was almost 10% in 2010, and if you look at a lot of northern urban seats where both parties stood in 2010, I think many of you would be surprised at the combined total, and sometimes the English Democrat vote has to be factored in as well. As a result the rise in the UKIP vote isn’t quite as large here as the national media is portraying. I still contend that a significant chunk of this group of voters were working class tory voters in 1979-1992, and then basically stopped voting, until first the BNP and then UKIP have come along to attract them back to the polling stations with their nationalist and anti-immigrant rhetoric. I would also contend that the Lib Dem vote in a seat like this is much more a plague on all your houses vote, than a ‘left-wing ex-Lib Dem’ vote” which the demographics of a seat like this wouldn’t support, which is why it has peeled off so easily to UKIP. I also think many on here forget that north of Birmingham the Labour vote held up far better than further south, and the swing to the tories was less pronounced, although outlier constituencies clearly existed. @akmd – as a newbie here how do i make my comments box reflect my party loyalty ie how can i make my comments box red,blue,yellow etc? Both results show that as far as the voting public are coincerned the Right is winning the day – and that should seriously concern you Barnaby. Sadly what the new MP ignored was immigration. MPs on the BBC Special and even Andrew Neil failed to raise the switch in Labour to UKIP. ie its conceivable that the LibDem vote split between Labour and UKIP. Therefore many Labour voters switched to UKIP, otherwise Labour wouldn’t be stuck on 40%. But other people will of course be delighted. Heywood & Middleton reminds me very much of the 2006 Bromley & Chislehurst by-election, which I had a small involvement in. I do think Labour will hold on here quite comfortably in the General Election, though that’s not to say that UKIP are not a threat to them in numerous ways. I wonder whether Clacton and Rochester will set off more defections, most likely without further by-elections. Though a bad day for both major parties, today is blackest for the Tories. I really can’t see how they can stay in government now. UKIP were only 2 points off here, I don’t think anyone quite expected that. If you look back at my prediction for this by election, I said that UKIP would be around 5% off winning. I didn’t see them coming as close as 2% though. I now expect UKIP to win over 20 seats next year. Grant Shapps’ strategy is really annoying me as the message from last night is vote UKIP, get UKIP rather than vote UKIP, get Labour. If anything, the people who voted Tory in Heywood and Middleton ‘let Labour in’. The Conservatives need a positive campaign to draw back in UKIP voters. I can’t see Shapps ever employing such a strategy therefore I can only see UKIP getting stronger between now and 2015. Shapps is an irritating lightweight. In her memoirs, Thatcher explained how she would employ a dull, lightweight “night watchman” as party chairman in the first half of a parliament, then replace them with a heavyweight in the second half as the election approached. Shapps is a night watchman and Cameron should have listened to Thatcher’s advice. He needs a Parkinson or Tebbit figure in that role. Hague would have been good, though his retirement makes it problematic. meanwhile the odd on ukip in rochester have been cut and it seems likely that the blues will lose that too…how they turn this round in 6 months to surge back into office is one of the impenetrable mysteries of modern politics…. The labour vote held in heywood…it was the tory vote there that more than halved. any tory sitting with a 3,000 majority over labour must be considering life after politics. Mili is awful, but a strong ukip will give him a slim majority, just ask chris kelly mp for dudley south. mark simmonds quitting boston and skegness also makes a lot more sense in the light of the ukip insurgency…i hate to say this but i did observe at the time his electoral vulnerability to ukip as a possible factor in his decision to leave the house of commons at the grand old age of 51. 20 seats still looks beyond UKIP to me. But what do I know. UKIP’s rise has been a strong one. I still expect the tide to go out for the party as the election approaches to some extent, but nothing’s certain. I think that there may be a shy UKIP factor in some of the constituency polls based on the result of the Heywood by-election. If UKIP puts the campaign time and resources into Rotherham for example, they must be in with a very strong chance. Interestingly, I think that the Heywood and Middleton result showed that UKIP has the potential to take a similar number of seats from Labour and the Tories. This should be a small comfort to the Tories if they are in need of a coalition partner. John Chanin & Chris – but it’s lazy thinking to just add all of the fall in the LibDem share to the UKIP bar graph (as many did last night). The BBC in H&M today, however, made the point that Labour voters switched to UKIP and only the LibDem>Lab switchers kept Labour on 40% and even that only just saved them. Ian M – “the rise in the UKIP vote isn’t quite as large as the media is portraying” What?! From 3% to 39% and 0% to 60%. No, it’s simply unprecedented. Politcs is often about perceptions. Liz McInnes may be poor but I suppose if she had been selected, Miriam O’Reilly could have really lost this one. Yes that is a fair point. Miriam O’Reilly would have been an awful candidate, and a sitting duck for UKIP claims that Labour candidates are PC obsessed carpetbaggers. Incidentally, Runnymede, maybe I’m being a bit unfair to Mr Nameless. As I spoke to a Lab Cllr friend and they genuinely did believe they would win it by upto 20%, even yesterday. I suspect many they knocked up, voted UKIP. Or maybe they just looked at the constituency polls. I think the Party HQs still havent woken up to what’s happening. Saying you get Cameron or Miliband as PM, 35%+ of the public are just saying we don’t want either of them! Everything from the smoking ban and pubs closing to posh MPs, means swathes of the WWC just feel not just ignored, but hated and the feeling is mutual. Granted I live in a leafy home counties suburb, but I haven’t heard a single complaint about the smoking ban in years. I do however hear plenty of complaints and tut-tuts round here about parents smoking next to their small kids etc (including from the wife). Is the smoking ban really still a big issue further north? I agree in the Clacton context, but in the northern seats context where the BNP or English Democrat vote wasn’t insignificant in 2010, the UKIP baseline is bigger than people are crediting. 10% to 39% increase is still a very significant increase, but it’s not as dramatic as 3% to 39%. The 2014 local election results already showed that UKIP were over 30% in many of the wards in this constituency, this result just showed that on council election turnout levels those results can be replicated. I imagine this sort of result could now happen all across those urban northern seats where the BNP scored very significant votes in the 2003-2008 period, and UKIP scored similar votes in the almost identical wards where they stood in 2014. Whether the UKIP scores will be as high on general election turnouts is a separate question, that I don’t know the answer to. I can certainly see UKIP possibly taking control of Rotherham council next year, unless the general election turnout saves the Labour council candidates, which is the historic pattern in Metropolitan Boroughs when a general election coincides with council elections. HH – it got mentioned a lot in a couple of Merseyside wards where UKIP came within 100 votes of winning. But Merseyside also had a lof Conservative and Labour clubs and bingo halls that have closed since it. There was also a British American Tobacco factory years ago and betting shops due to the Grand National and home of Littlewoods, Vernons etc. I agree, I like to eat in some pubs and so prefer it since the ban. It’s easy to forget, however, that most OAPs in these areas smoke(d). Didn’t Dr John Reid defend smoking as a WWC pleasure? Ian M – I agree that a lot overlooked the 15% who voted BNP/UKIP in many Yorkshire seats in 2010. John Healey has raised it. HH – incidentally, it wasn’t the smoking ban per se, the complaint was it was just brought in without any warning. Even UKIP would just allow social/private members’ clubs to decide for themselves. Smokers’ rights’ groups are v small and a bit odd, in the same way that Evan Harris is and those who want to ban smoking altogether. The issue seems to chime with some in the NW who bemoan that it was another attack on them meeting up socially etc. “McInnes chose – or more likely, was ordered – to run what was basically a single-issue campaign based around the preservation of the NHS. Labour presumably thought it was safe ground given that McInnes has worked for the NHS for 33 years as a scientist. Plus they had plenty of ammunition to attack Ukip: the Tory-Ukip defector Douglas Carswell in 2012 wrote a book advocating the wholesale privatisation of the NHS, and Nuttall posted a letter on his website praising the coalition for bringing “a whiff of privatisation” to the health service. By constantly saying vote UKIP get Labour, the Tories have fallen into the trap of lazily assuming that nearly all of UKIP’s support is disaffected Tories. Surely there was a lot at the Tory party conference to impress the ex-Tories in UKIP’s ranks – announcements of tax cuts for the rich and poor, a pledge to withdraw from the Human Rights Act, the EU refrerendum, promises for further spending cuts but protecting the NHS. And that’s what none of the other party leaders can understand. People are flocking to UKIP less because they like their policies, but more because they like much of the public and much of the press, play on this sense thar Cameron, Clegg and Milliband are all part of of a self-serving political elite who live in another world and remain unaffected by the decisions they make. I should start by agreeing that the Conservatives had a worse night than Labour- that is beyond doubt. People like Matthew Parris who seemed to think that the conference had cleared the way for a Conservative revival have been proved wrong in less than a week. Nevertheless, I am puzzled at how sanguine Labour is about this result- dressing up a vote increase of less than 1% point from the depths of 2010 as some kind of achievement. And for me it is beyond question that they will have lost votes to UKIP. One only needs to consider how well UKIP did in the Labour fortresses of West Heywood and West Middleton in this year’s local elections to realise that. I suspect that this will have been concealed by Labour taking votes off the Lib Dems and, to a lesser extent, the Conservatives. I am also sceptical about the suggestion that the Conservatives are now more imperilled in their northern marginals than they were before because of UKIP. Northern middle-class Tories in places like Ilkley and the Pendle villages have been strikingly resistant to UKIP as people have commented on here recently. The Tories have more to fear from UKIP in the Black Country in my view. People aren’t disaffected necessarily by the fact that politicians largely come from a remote social stratum (that has after all always been true, to a great extent), but by how this leads them to behave – that is ignoring the major issues of concern that ordinary people have and attacking ordinary people even for raising them. Runnymede – although, of course, the only Tory leaders to win majorities in the past 45 years have been from normal backgrounds. I think it’s not even realising how ordinary people think. That’s why S Hilton, Lynton C were brought in. Whereas Thatcher and Tebbit both understood these voters. Labour has lost the most MPs from these backgrounds. The LibDem Parl Party is probably the most out of touch and unrepresentative. Obviously it could easily have been: David Davis, Alan Johnson/Andy Burnham and Charlie Kennedy as leaders and we at least wouldn’t have had the omnishambles Budget or Tuition fees’ massacre etc. A larger GE turnout should help Labour get back into a comfort zone in H&M, but this whole event has a very icy chill which Labour top brass needs to take damn seriously. Already on Newsnight it’s being reported that the line by Labour leadership is that UKIP “on balance” will hurt the Tories more than them. Short term thinking like that is going to produce greater shocks, especially if Labour forms a government next year. UKIP is hurting the tories more whilst the tories are in government yes. When labour is in government it may be another question, I can’t imagine they would be realising the thought of by-elections in South Shields, Rotherham, Rochdale etc. That’s precisely the point Lancs. It is possible to be right of centre or indeed right wing whilst appealing to the working class – not just C2s, but among the D and E bands too. There are a lot of working class people who think the government spends too much money on unimportant domestic things and that taxes are too high as a result. It’s easy to criticise things such as foreign aid, EU contributions, money which first generation immigrants may be entitled to or a large defence budget, but most right-leaning voters are intelligent enough to realise that these things (while in some of their opinions a start) are not solutions to the public finances in and of themselves. But unless you are in tune to what they consider to be wasteful domestic spending and how to reduce it without impacting on those things that they do really care about, you have little hope of securing their vote. Equally, those people could continue to vote for a party which happened to cut the top rate of income tax, but to keep them on board you’d have to do simultaneously bring in like-for-like tax cuts for lower bands (the irony being that the coalition has arguably done this for basic rate taxpayers, but because it’s the personal allowance rather than a change to the headline rate they have struggled to win that argument). The amount of spin and head-in-sand response to these two by-elections has been breathtaking from the Tories and Labour alike. But the one bit of sense that has come out of the Labour party in the last 24 hours is that they couldn’t out-UKIP UKIP even if they wanted to. It’s the same for the Tories: as a party of government they are never, ever, going to win over non-natural Tory voters on the issues of the EU and immigration in isolation, despite the fact that Cameron has gone further on those issues than anyone would have thought possible when the coalition was announced. You win those voters over through domestic policies that do what they say on the tin, rather than policies with similar outcomes where the benefits have to be explained. For basic rate taxpayers, the personal allowance rise is proportionately a similar or better deal to the cut in the top rate of tax for those paying it, but because of the time it takes to explain it that message does not get through. To give a comparable example for spending, the right-leaning working class are unsurprisingly relatively keen on the NHS, and I thought Cameron played a political (if fiscally questionable) blinder when he said he was going to ring-fence its budget, but because the changes he made involved significant one-off costs with benefits that take time to explain, he hasn’t gotten much if any political gain from it. If the coalition parties go on to fail electorally in 2015, it will be at least in part as a result of branding, although unquestionably some of it will be substance too. A lot of the things the coalition has done would have been far more paletable to far more people if different instruments had been used to achieve similar (though admittedly not identical) results. Tuition fees being an excellent example. The coalition parties could have said “we are getting rid of the tuition fee system, and introducing a contribution system which guarantees that no-one will pay a penny towards their education unless they are earning above-average money. If university does not end up increasing your earning potential, that degree will not cost you a bean.” But it became a political war of attrition: “we want to call it a graduate tax!” vs “we can’t do that, we are going to keep calling them tuition fees!”, and while the Lib Dems unquestionably lost that argument, both parties have suffered as a result. Or the “bedroom tax” – it was never going to be popular with the Labour party, but it has been successfully branded as a tax because some of those impacted cannot get an appropriately sized property. If instead the coalition had said “those not eligible for housing benefit on the size of property they currently live in will be asked to move into a nearby appropriately sized one if available. They will be entitled to receive a reduced rate of housing benefit if they decide that the benefits of the larger property are worth paying a little bit more for. It would undoubtedly have remained a divisive left vs right issue, but not a working class vs middle class one. I know I’m getting a bit political there, but I hope the following will tie those points back into the issue at hand. Spin is the art of convincing people that something they know about is better than/not as bad as they instinctively think. It is not the business of telling people that they have misunderstood the facts, not even if they really have misunderstood the facts. You cannot win someone’s vote by implying that they are unintelligent, however sophisticated and diplomatic your attempt. 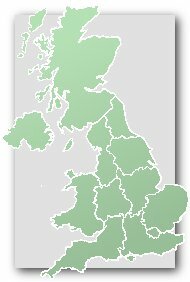 Labour and the Tories are dangerously close to doing the latter by trying to brush off yesterday’s results, and should instead focus on spinning what these results, if in any way indicative of what might be to come, would mean in the context of the next parliament, and why you should therefore vote for them. As for UKIP, they have even fewer tangible policies than Labour at this stage, but their real strength is that the policies they do advocate are straightforward: it is not difficult to persuade those who like the sound of them to vote for them. The same cannot be said for the coalition parties in particular at this point, and indeed the biggest risk to Labour is that at this stage they are not matching UKIP on clarity. I still think Labour will hold this one at the GE.